Scythe Co., Ltd., originally started its business operation in Japan's famous "Akihabara Electric Town" located in metropolitan Tokyo, where visitors can find a variety of products, ranging from the latest computer parts to the world's most advanced high-tech electric devices. Scythe Co., Ltd., began its operation and business in November, 2002 as a distributor and manufacturer of passive and low-noise PC parts. Since then, the company has established the R&D facility in Taiwan & China for production and quality control, and the USA office (in Los Angeles, California) & European office (in Hamburg, Germany) for customer care and sales support. At Scythe, we believe the best ideas for products to simply come through knowing customer needs and expectations. Based on this philosophy, the PC enthusiasts working at Scythe know what to develop because that is exactly what we would like to have for ourselves too! We offer products with 100% quality assurance and total pride, and if the product has the Scythe name on it, you can rest assured that its quality will be up to the "Zero Tolerance" standards! Scythe got their start back in 2002 and has quickly expanded since then. 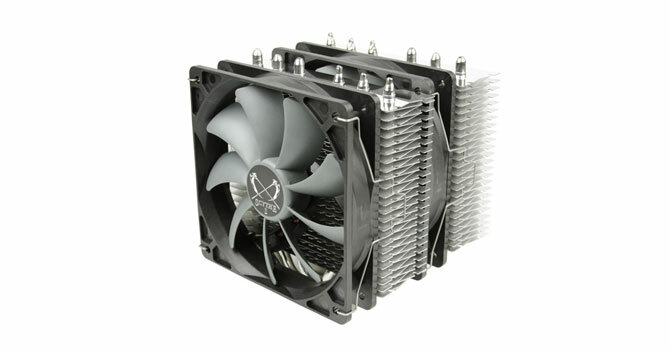 Having become a well-known manufacturer of PC-cooling products, they offer unique coolers, fans, and accessories that have earned them a dedicated following. I am sure having a firm commitment to quality doesn't hurt either. Any PC enthusiast who has been around for at least a decade has heard of Scythe, which is likely due to their much loved Gentle Typhoon fans. These fans are an enthusiast favorite for watercooling systems and have really helped push Scythe into the minds of enthusiasts the world over. Add to that their push to constantly update their current designs and you have a company that, while not flashy, has created their own niche in the market. 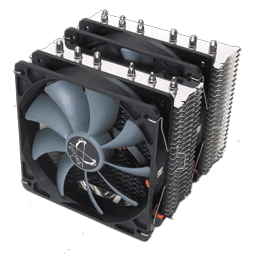 Which brings us to today's review of the Scythe Fuma: a short dual tower cooler that makes use of two 120 mm fans. While it's not unique, the fact that it has a maximum height of just 149 mm makes it an interesting option for those with limited space. Compact and affordable, it will be interesting to see how the Fuma performs, but let's take a closer look first.